*Please note this service is only offered to corporate and business environments. Choose A-Z Computer Liquidators for new and used computer, data center liquidation solutions. We pay cash upfront for our clients surplus computer equipment. Get a return on your original investment. We have access to over 10,000 used computers, networking equipment buyer base. 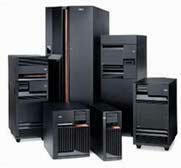 Your surplus IT assets will be sold! We liquidate large organizations including Fortune 1000 companies and manufacturers. Our B2B enterprise liquidation services are designed to accommodate multiple locations with large volume lots of surplus used computers and data center equipment. We Buy Used Routers and Used Switches: Sell used routers, liquidate used switches, new and refurbished routers from Used Cisco, Juniper Networks, Foundry Networks, Force10 Networks, Extreme Networks, F5 Networks, etc.